So much to read. So many points of view. I was so grumpy this morning (Thursday) about NZ media coverage of what was happening I wrote a letter to Granny Herald. I am not a big fan of nuclear power, but I believe your paper's coverage of what is happening in Fukushima Japan verges on the hysterical. My daughter is in Hokaido now (500 kms north of Fukushima) and she tells me that the New Zealand parents of her friends are in a state of panic, while life carries on as normal there. There are low levels of radiation in parts of the main island of Honshu, but these are not health threatening outside the evacuation zone. 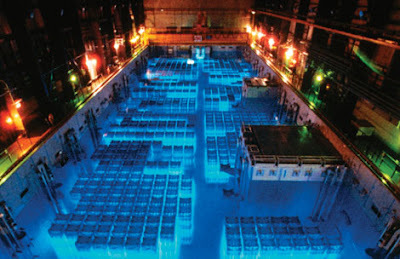 Fukushima reactor containment vessels are designed to contain total meltdown. Tokyo Electric has a crisis on its hands. But it does not present a health threat like Chernobyl. Not according to almost all international reporting. New Zealand might be nuclear-free, but it does not need to be nuclear-ignorant. As I re-read it I find myself saying: "famous last words." But I'm mystified as to how you could take it that we have been 'verging on hysterical' -- we have been reporting solely from the Associated Press based out of Japan and have never , once, said this crisis would end up like Chernobyl. Saying that Fukushima is not a health threat like Chernobyl does not mean there is no health threat at all, however. There seems a concerted desire to actually downplay the direct effects on these Japanese people at risk, as if to say the rest of the world and rest of Japan is okay, so why worry? 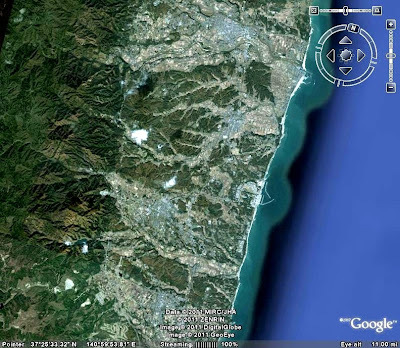 We have never said it is irradiating Hokkaido -- which is significantly north as you say and no surprise at all that life goes on as normal (like Wellington after the Christchurch quake, but that doesn't make reporting of the crisis in Christchurch irrelevant) -- or even lower Honshu outside the evacuation zone. No one thinks or even assumes that. But the evacuation zone is not small-- many many people are directly affected. Our headline saying 'Nuclear Panic' was entirely correct in the areas concerned and among some even in Tokyo. It did not suggest people on the northern island, or their parents, or those in southern Honshu or even Kyushu were panicking or ought to be. And I do dispute that 'almost all international reporting' limits the implications of this event to a power company having a crisis on its hands. I am reading very widely and there is no doubt that this is regarded a serious national and international nuclear incident. 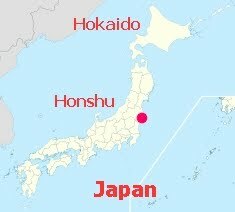 Here's a rough map of Japan. The island of Hokaido to the North, and the main island of Honshu. The red blob is where Fukushima Power Plant is located. Here's those four power stations. The tall square buildings each contain a nuclear reactor. My guess is that the steam turbines turned by the steam that comes from each of the reactors are in the low rectangular buildings nearer the coastline. So now there's an exclusion zone set by Japan's Govt. I understand today - causing some consternation - the US declared its own evacuation zone at about twice the size of the Japan zone. This image helps explain a little more of the site layout. A significant issue that has arisen in the Tsunami accident is what happened to the old fuel rods. 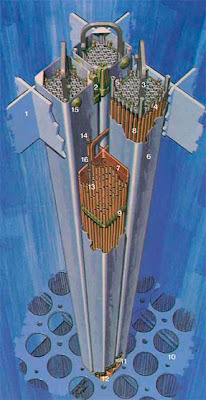 These are withdrawn from nuclear reactors when they have given off most of their nuclear energy. They are said to be "spent" fuel rods. 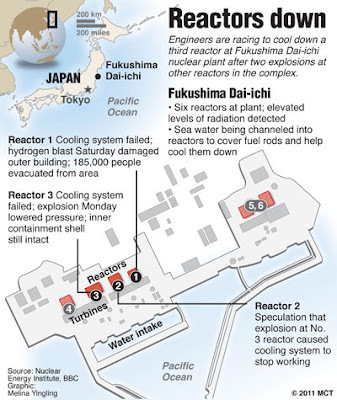 My guess is that the "Shared pool" is where these "spent" reactor fuel rods are placed to cool while their radioactivity reduces further. But I wanted to find out more. This graphic gives an account of what has been happening at each of the six reactors at the Fukushima Power Plant. 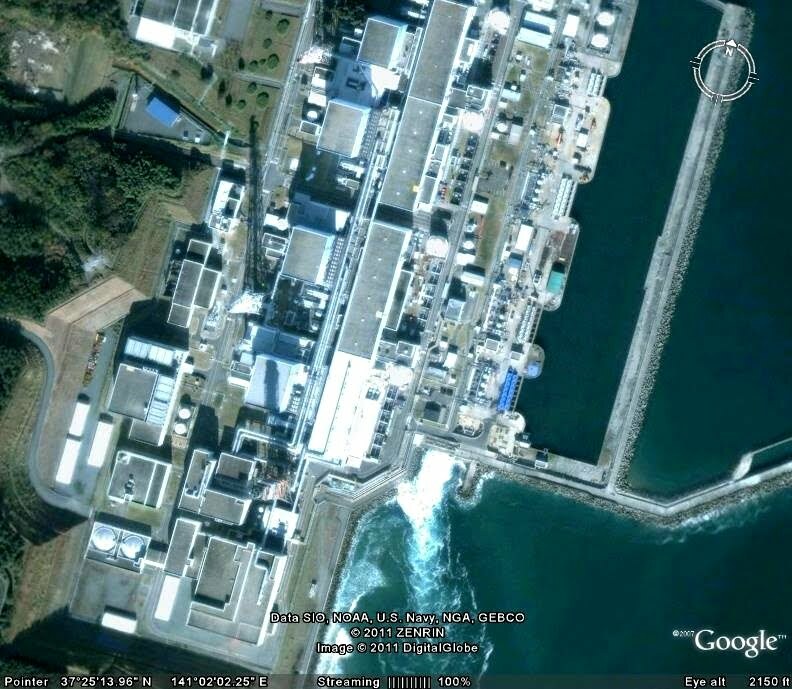 This image contains an analysis - not sure if it's right or not, but several sources confirm it - of the damage that occurred inside one of the reactor buildings. 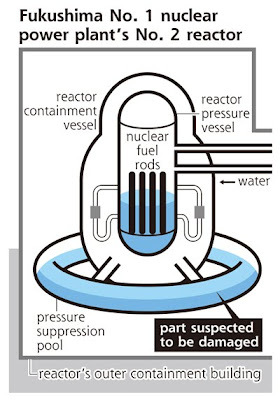 The central vessel shown is the reactor pressure vessel. It is what gets extremely hot in normal operation causing the water to boil. (All of the 6 reactors at Fukushima are of the Boiling Water Reactor type.) The water boils, turns to steam, and this turns the turbines that generate electricity. The reactor pressure vessel is positioned inside the reactor containment vessel. 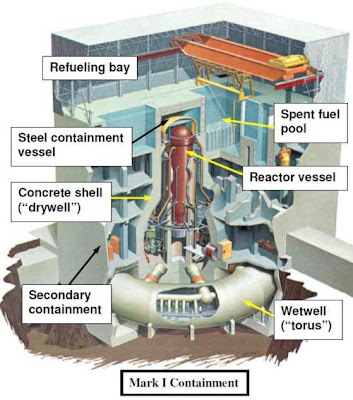 A detailed description of a Reactor Containment Vessel is in my earlier blog about this issue. It appears that what is damaged in this reactor is that outer ring which is designed to absorb pressure from very rapid changes inside the containment vessel of that reactor. 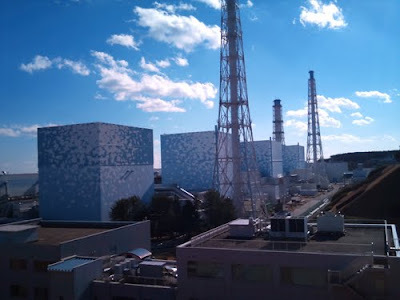 This is a more complete and to scale graphic of a Boiling Water Reactor - such as you would find inside each of those square reactor buildings at Fukushima. What is interesting about this picture is that it shows where the spent fuel rods are stored, immediately after they've been withdrawn from the reactor vessel. These pools are right at the top of the building, and would be visible or exposed, if the roof blew off. I think that explains what the helicopters are doing. If it is believed that these spent fuel pools are emptying of water - through the heat still given off by these partially spent fuel rods - then they will want to add more cooling water. It's a very different problem than if the reactor vessel blew, or containment vessel blew. This is not a Chernobyl, but it is still very dangerous. In a different way. This is a photo of a spent fuel rod pool. It is used to store spent fuel rods as they lose nuclear energy, and heat. The water serves to keep the rods cool. 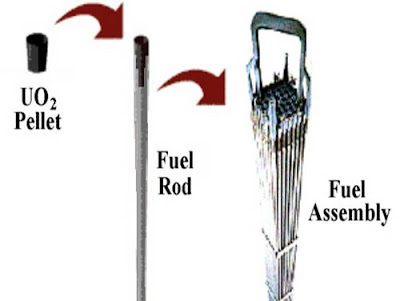 So what does a reactor fuel rod look like? Not sure if you could really hold the pellets in your hand, especially fresh pellets. Perhaps its a lead-lined glove. The pellets slide into the metal rods, and these rods go into casings that fit inside the reactor vessel. The actual fuel is Uranium Oxide. It is "enriched" Uranium. It contains a high proportion of Uranium 235 - which is very radioactive. (Uranium 238 occurs naturally and while it is radioactive, it decays very slowly). 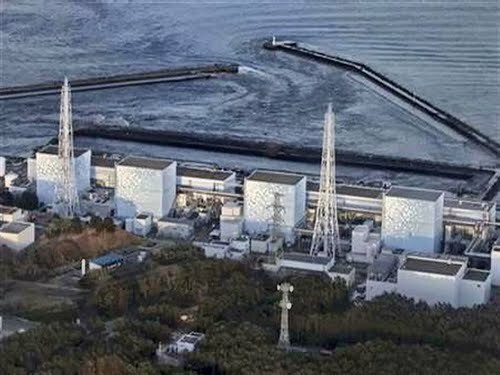 Uranium 235 decays quickly - releasing heat energy - especially when fuel rods are placed near each other, increasing the chain reaction known as "fission". Nuclear fission is the name given to the process of radioactive decay in a reactor. The Uranium 235 nuclei splits into smaller atoms and gives off energy. So what happens to the Uranium 235 when it splits? The nucleus splits into two parts typically - each about half the weight of a Uranium 235 nucleus. Often the split is into Iodine, Caesium or Strontium - elements which occur naturally. But these fission nuclei have different numbers of neutrons to natural Iodine, Caesium, and Strontium making these fission by-products radioactive themselves. 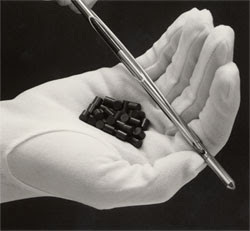 These by-products, which are what the U-235 fuel pellets contain after being "used", are the "waste" from a nuclear power station and are a major concern of those opposed to nuclear power stations (like me). They stay radioactive and are dangerous to human health for centuries. That is why they need to be stored, buried etc. The big risk is if the fuel rods get burned or otherwise damaged so these nuclear by-products get released into the environment - as dust, smoke particles etc. Otherwise they will be handled as spent fuel rods have been for the past 50 years. Bloody dangerous, but not human health threatening if managed appropriately. 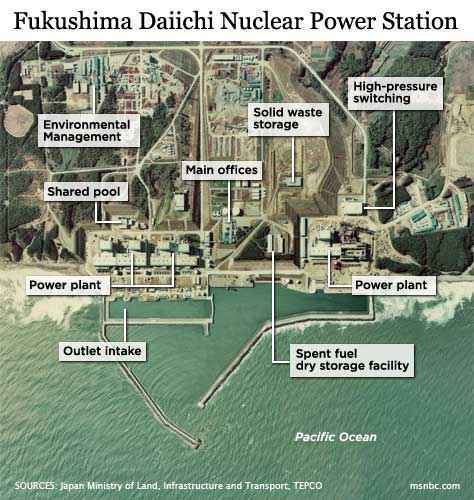 That is why the workers at Fukushima are concentrating on ensuring there are no fires where there are spent fuel rods. I need to work more on this - but my intuition is that spent fuel rods (even without being in water) - will not melt under their own radiation. This is another major difference from Chernobyl. (And just a little end note here: what's the talk of Iodine tablets? Well - the human body absorbs natural Iodine in the thyroid gland. If a person breathes air that has radioactive iodine in it, the body can't distinguish between natural iodine and radioactive iodine. It absorbs the iodine - if it's short of it - and concentrates it in the thyroid. This concentration of radioactive iodine can lead to living cell damage. But if you "eat" natural iodine, the body will not absorb any radioactive iodine. That's the theory. This graphic shows the whole thing. Reactor. Water heated. Piped. To the turbine building. Turns the turbines. Makes electricity. You can also appreciate that the water used the make steam serves a major role in keeping the reactor vessel at an operating temperature. Not too hot. And of course the generator makes the electricity that the whole plant needs for its cooling pumps, and to keep water circulating through the spent rod cooling/holding tanks. 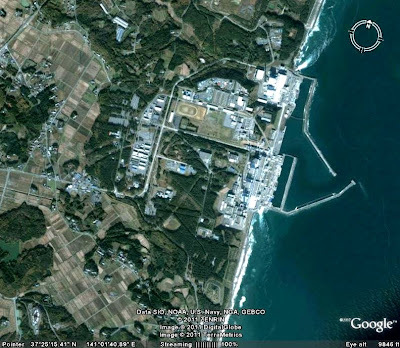 what is happening in Fukushima is terrible :( In the other hand, thanks for the good images about the reactors. These are very informative. Thanks for all that info Joel. Sort of had an idea how a Nuclear power station is designed to operate but you have made it very clear. Easy to be intelligent in retropect but it is a pity that they chose the east coast with the danger of Tsunami damage rather than the west side with a more shallow shelving sea bed. Thanks for the images and explanation, really good blog! How Strong was the Christchurch Earthquake? Does Auckland Really Need to be Unleashed? What the F... is Happening at Fukushima? How can a Blogger avoid Contempt of Court? What Have They Done to the RMA? Auckland Aquifers! What's the big deal?